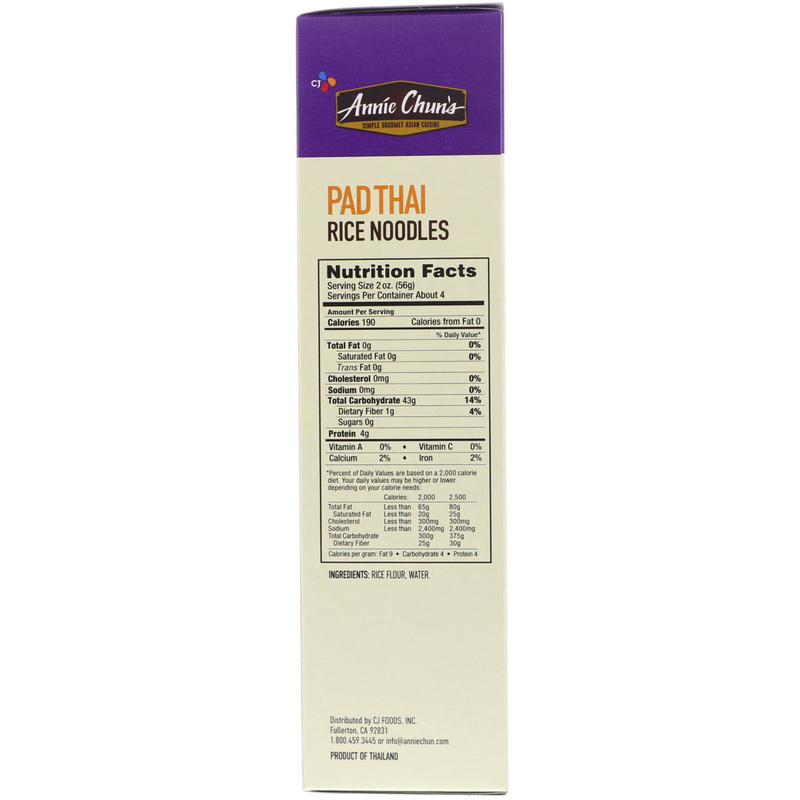 Our special gluten-free Pad Thai Rice Noodles are ideal for making authentic Pad Thai. They're also fabulous in Asian stir-fries, savory noodle soups and chilled salads alike. Enjoy. 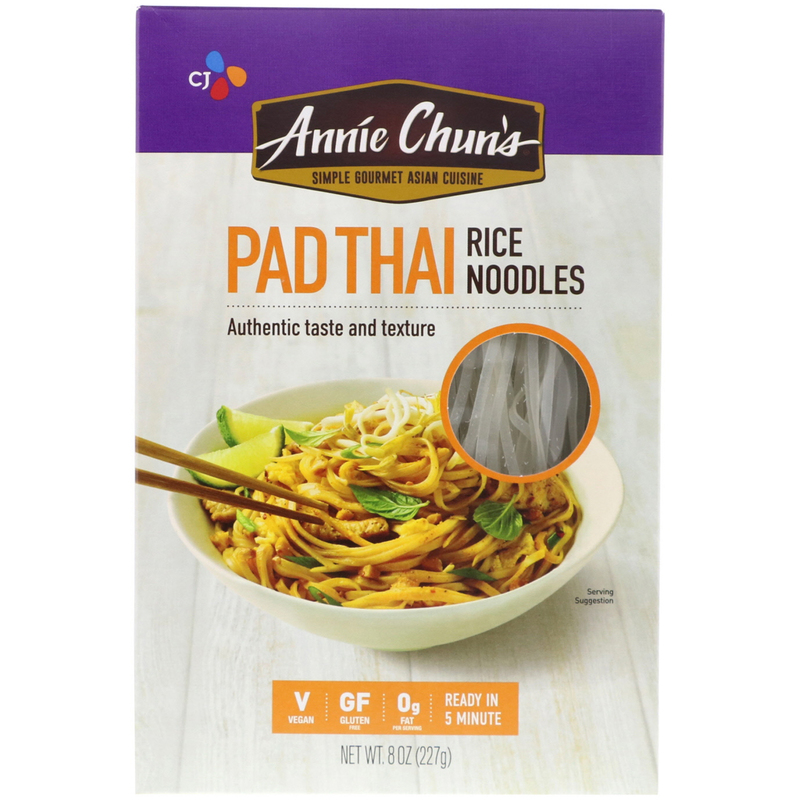 At Annie Chun's, we make delicious, easy-to-prepare, Asian-inspired dishes that you can feel good about. That's our promise, and we don't take it lightly. It's what drives us each day to make our foods easier to enjoy and better for you, without sacrificing the vibrant aroma, flavors and textures that we all love. Bring 4-5 quarts water to a boil. Add noodles and boil 4-5 minutes or until tender, stirring occasionally. Drain. For cold noodle dishes, rinse under cold water. Mix with favorite sauce and vegetables. Enjoy the goodness! For stir-fry, soak noodles in hot water for 8-10 minutes or until tender. Add drained noodles to stir fry; cook for an additional 1-2 minutes.